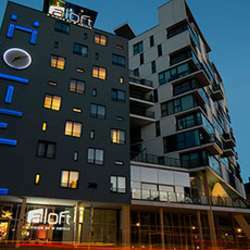 Further to your requests we are going back to Aloft! This modern venue has it all! Networking and dancing! We welcome you from 19:00 onwards on 24 April at the Aloft Hotel! How to get there? It is situated in a convenient location next to the Leopold Park and in-between the metro stops Maelbeek and Schuman. There is a free welcome drink for first 50 attendees. The entrance fees are used to keep the high standard of the events and to be able to offer benefits like welcome drinks and special entertainment to our members.